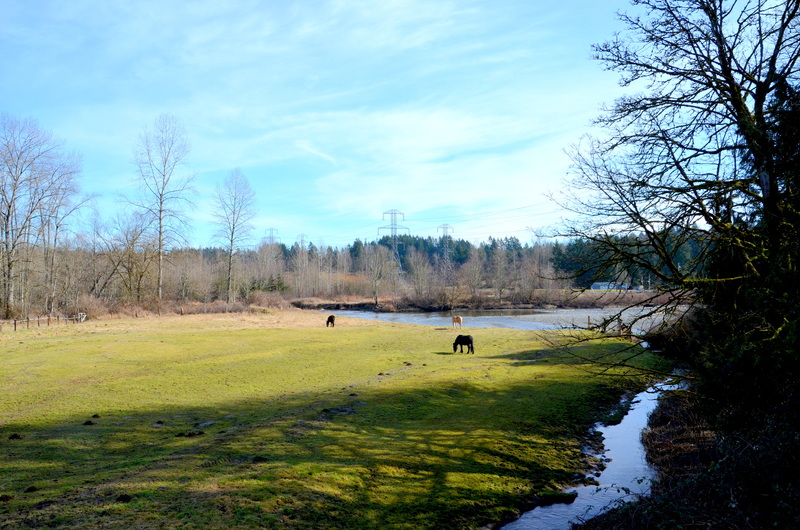 Walking Five… | The Happy Wonderer ~ ellen b. 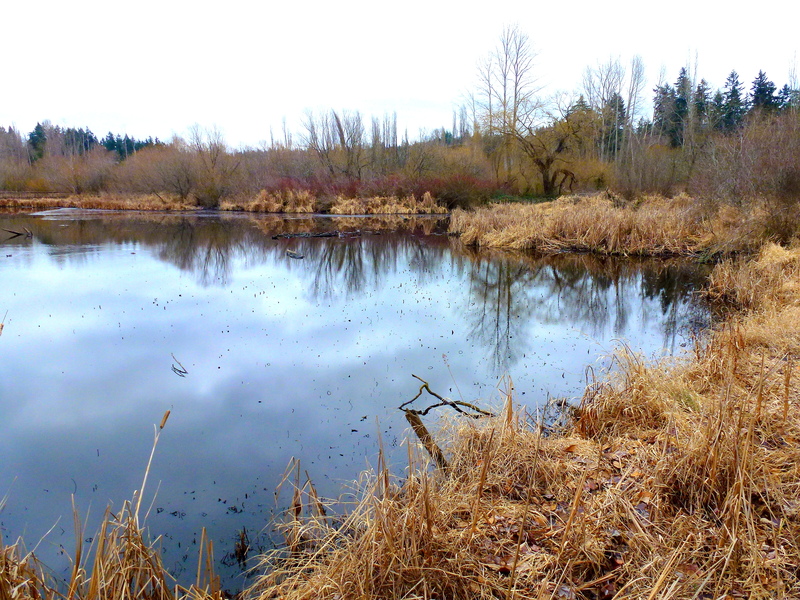 Last Friday Dear and I ventured out to the Sammamish River Trail for a walk. We walked until the raindrops were hitting us in the face. With our walk by the end of the day my fitbit registered 13,858 steps. Here’s a trail photo. Saturday morning we walked on boardwalks and walkways at Juanita Bay Park. At the end of this day I had 13,372 steps. Here’s a photo from Juanita Bay. 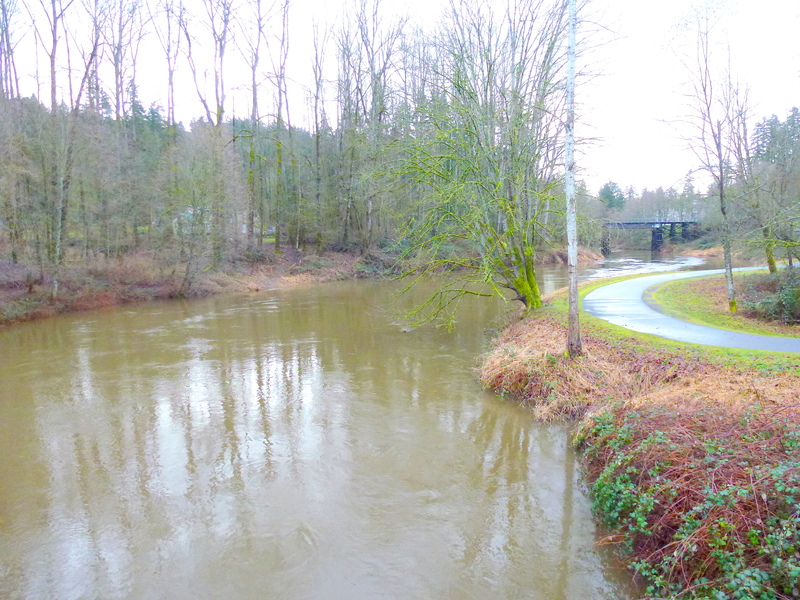 On Monday we walked part of the Centennial Trail in Snohomish. It was sunny. I registered 13,113 steps by the end of the day. 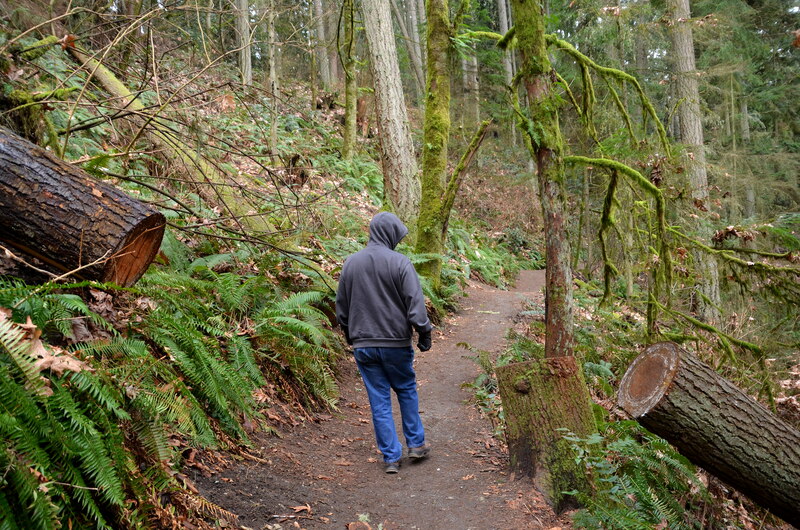 On Tuesday we walk/hiked the North Trail at St. Edward State park. It was more of a huff and puff walk. By the end of Tuesday I had 12,130. I thought I should have gotten double credit in steps for this hike. On Wednesday the rains returned with a vengeance so we ventured out from home when there was a slight break in the precipitation. Hoodies up! At the end of Wednesday I registered 12,614 steps. I’m hoping to keep up with over 10,000 steps every day. I’m also hoping to drop a few pounds. This will be a slow process as I’m not counting calories just increasing my activity. Time will tell if this might work long term for controlling weight gain. 1. Thankful that Dear and I can walk in safe places. 2. Thankful we can still move in this way. We have aches and pains but not debilitating. 3. Thankful for the beauty of God’s creation that we see on our walks. 4. Thankful for some sunshiny days between the rainy days. 5. Thankful for time together to talk and to laugh and to see new things none of which drain the pocketbook. 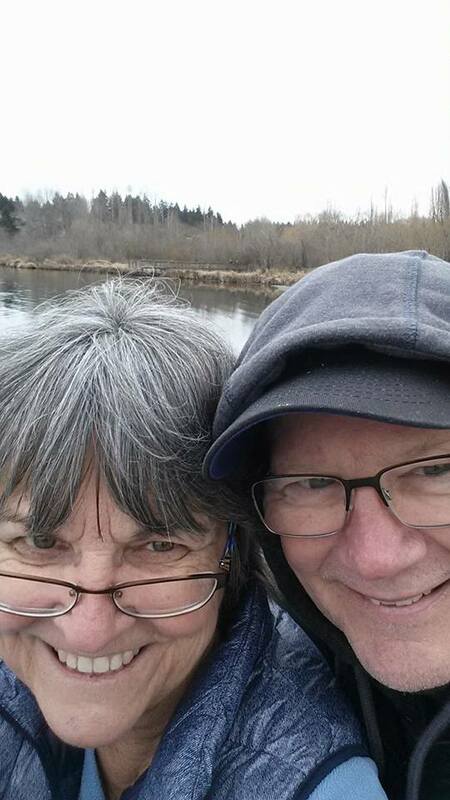 Posted on February 16, 2017 by Ellen •	This entry was posted in Fave Five on Friday, Five on Friday, Walking, Washington State and tagged Centennial Trail, Early Morning Walks, fitbit flex 2, Juanita Bay Park, Sammamish River Trail, Selfies, St. Edward State Park, Walks. Bookmark the permalink. Your number of steps on those hikes is staggering! Good work! Good for you for walking! I try to do 10,000 steps daily. It’s not undoable! There are great places to walk in your corner of the world. Way to go! I enjoyed the photos of the places you enjoy walking at. So happy you two can enjoy this healthy activity together. Have a great weekend. Walking is the way to go. You are so lucky to have a walking partner and beautiful places to walk. It makes a difference! Good for You! Have a lovely, walk filled weekend! Sounds like some lovely walks. 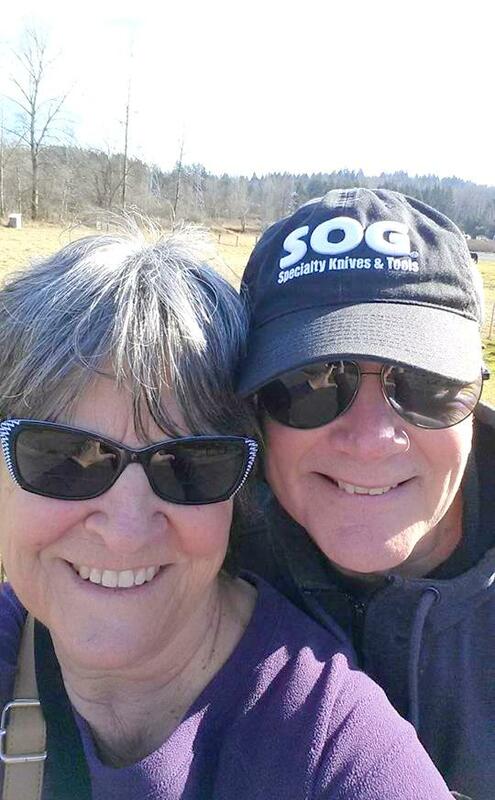 My hubby and I love taking them – so many places to see and visit. 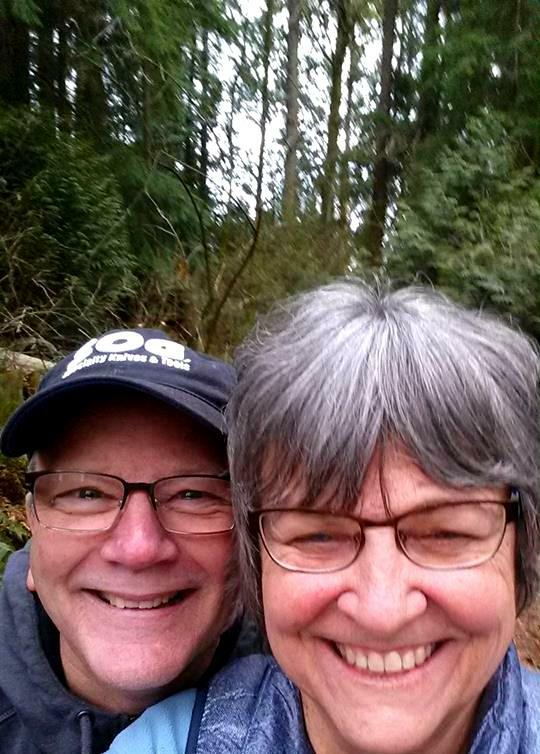 I love that you and your husband get out and walk together! We have done that, too, and we have some of the best conversations doing that. Our weather isn’t good for walking here where we live but we do go to work out together every day. It is fun. When our weather gets better we will probably resume our daily walks here also. I enjoyed your list of fives. Your number five is a huge blessing in marriage. I’m so impressed with the number of steps your walked, that’s fantastic. A great walk and a great number of steps! I like your five things to be thankful for, glad you have them! How nice to have a variety of interesting places to walk! And nice that you can walk together, getting both exercise and time to talk at the same time. good job on the hiking and the steps!!! if we ever get rid of this white stuff, i will be hitting the trails again. my goal in these winter months are 9000 steps but ever since our two big storms ive registered only about 7500 each day! ugh. power walking and hiking is very good for weight control my doc says among ither benefits but to really lose pounds diets have ti change…since im eating more plant based foods ive noticed a difference. now to get hubby on board. ive always been about 115 but wowza…..ever since menopause that weight is now 10 lbs more!! dislike!!!! enjoymyour weekend and i hope you get to do more hiking/walking! love your photos!!!! That’s a great score. I enjoyed seeing all the lovely places you’ve been walking round. The title of your post and the following sentence made me chuckle. What beautiful places you have to walk! I’m wanting to get out and hike more as well. Your post certainly inspires me to do just that. wow. good for you both! that’s a lot of walking. Kudos to the hikers. The best part? Those lovely smiles. Looks like you have some beautiful trails to follow to get all your steps in. Best wishes for keeping up your count. You have been stepping out, good for you! 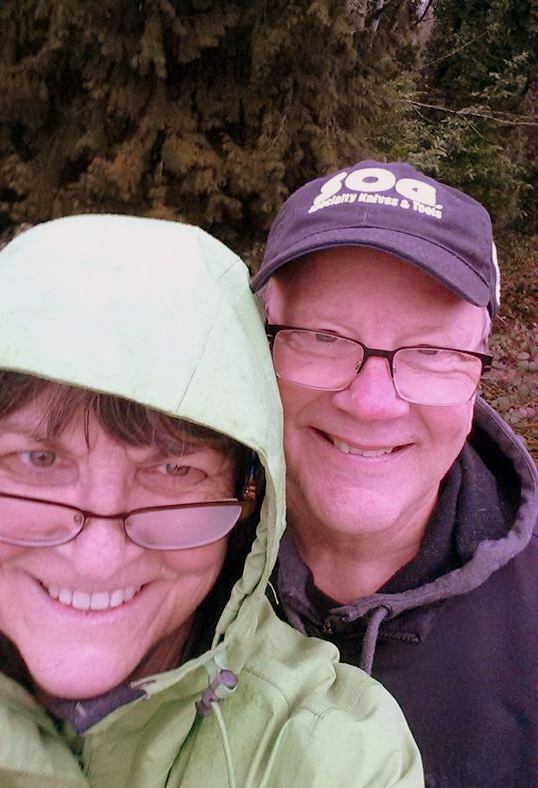 You certainly choose some great places to hike, despite the weather it’s obvious that you both enjoyed challenging your fitbit. Speaking of photos, could I steal a shot of your dad for the church directory? He’s been away most of the times we’ve been photographing and we’d love to have him added. A super cute post!!! 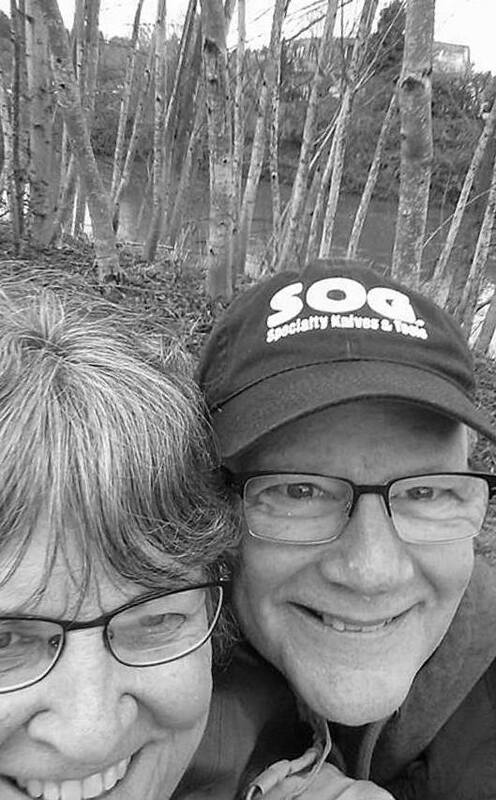 So wonderful that you two can get out and see the countryside and not have TOO many aches and pains! Wow! You’re doing so well with your steps Ellen – I’m sure you’re noticing the benefits already! How wonderful that you can be out and about walking. I can’t believe the number of steps you are getting in in a day. And I totally agree…the uphills should definitely count as double steps! I need to increase my activity — been sitting behind my writing desk too much. I’m inspired by your post. Walking is my favourite form of exercise, especially when it’s out in the middle of nature’s beauty and fresh air. Wishing you and hubby continued joy in your exercise — the benefits are so worth it, aren’t they. A friend is sending me her fitbit she doesn’t use! I’ll be contacting you for instructions on its use! Great job walking all those steps! ANd such scenic places to walk. Keep up the good work. I”m so impressed with the number of steps you’re doing – keep it up. The Fitbit seems to be a good gadget.